TAG Oil holds 100% interest in the Cardiff gas/condensate discovery and other deep gas prospects in the Kapuni formation. These deeper Oligocene and Eocene stratas contain several major discoveries in the Taranaki Basin, and target a resource materially larger in reserve size and deliverability potential than in TAG’s shallower Miocene drilling program. 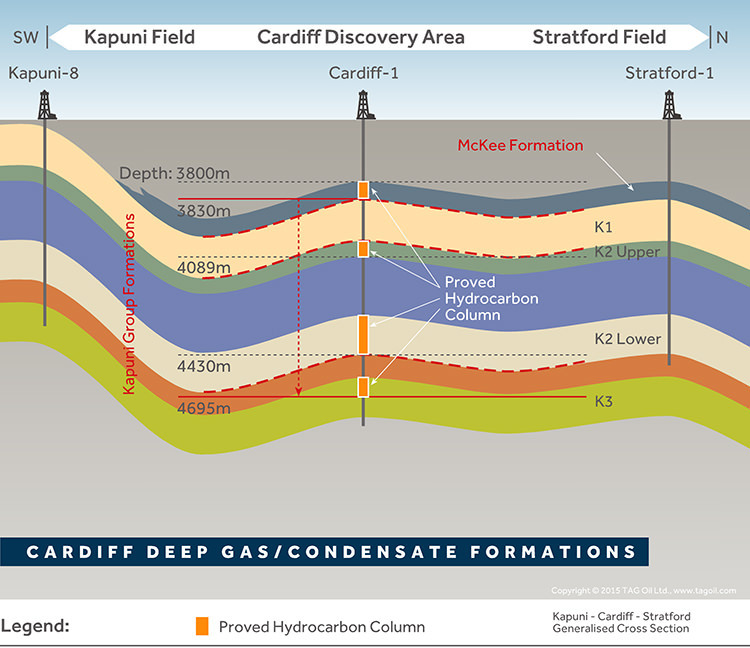 TAG has completed its first deep well, Cardiff-3, (~4000m) appraisal well which discovered gas-condensates across a large hydrocarbon column in three separate zones. Testing of the lower zone flowed hydrocarbons however the first stimulation attempt failed due to mechanical issues. 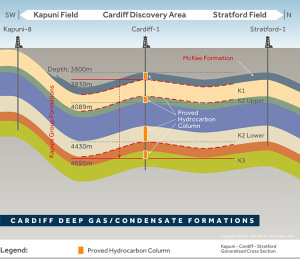 Further flow testing of the lower zone has been recently conducted which has also resulted in Cardiff-3 flowing hydrocarbons. Options are now being considered on how to best approach development of the large Cardiff resource. 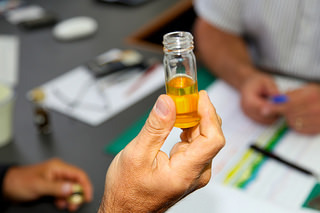 New Zealand’s oil and gas business was built on deep, tight-sand reservoirs much like the deep, condensate-rich Kapuni play TAG is exploring now. In fact, Shell/Todd’s 1.4 TCF gas and 65 mmbls condensate Kapuni Field is on trend with TAG’s prospects, and the 4.5 TCF Maui Field is the same Eocene-aged Kapuni group formation. TAG-owned infrastructure is in place and nearby, to handle production growth of the anticipated magnitude, and New Zealand has a strong domestic gas market that sells at a substantial premium to North American natural gas.